Whether you are looking for a solution for sun damage severe dryness premature aging, wrinkles, acne, rosacea, or simply want to treat your skin to an organic beautifying experience, come to Nushka’s Spa to find the products ideally suited to your skin. The premiere skin care line at Nushka’s Spa. Éminence Organics products offer treatments with special Hungarian recipes using unique blends of fresh ingredients to inspire healing and impressive results. Éminence products offer many solutions that address premature aging, wrinkles, rosacea, sun damage, acne, loss of vitality, tone and radiance. Each skin type is specially treated with specifically suited products for promoting healthy solutions. 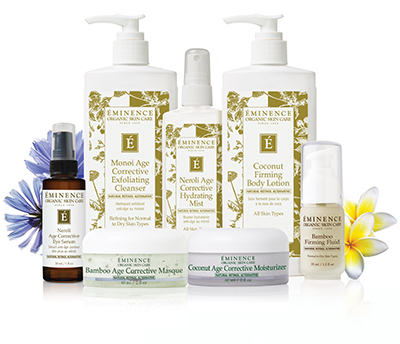 Come to Nushka’s Spa today and experience award-winning skin care results with Éminence Handmade Organic Skin Care products. 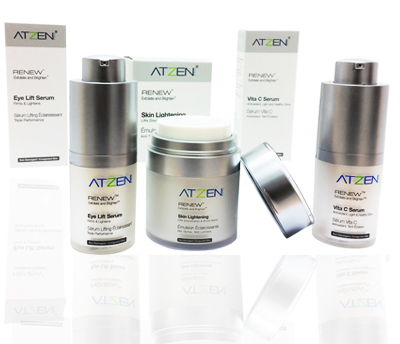 We use the ATZEN skin care line for all facials. We are the only local Day Spa in Eugene offering the full range of ATZEN®Treatments. These products combine high percentages of organic plants, organic vitamins and algae. Catherine Atzen, an award winning skin care expert from France introduced Integral DNA™ into her skincare products for the face and body to balance your skin and hydrate deeply, and she was the first to formalize the science Lymphobiology® to enhance your skin’s appearance as no other skin care program can.